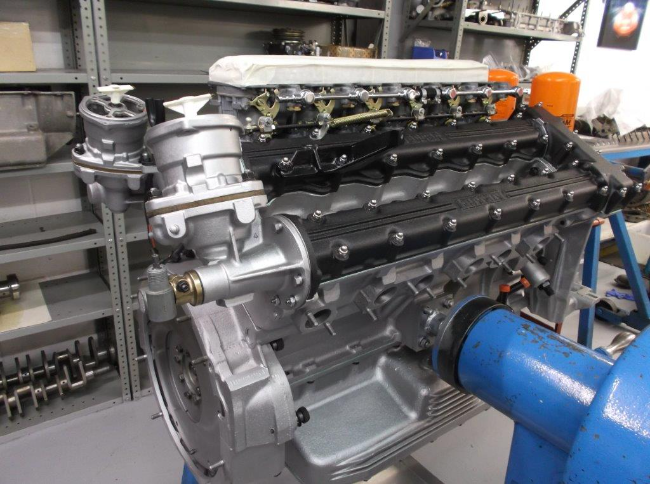 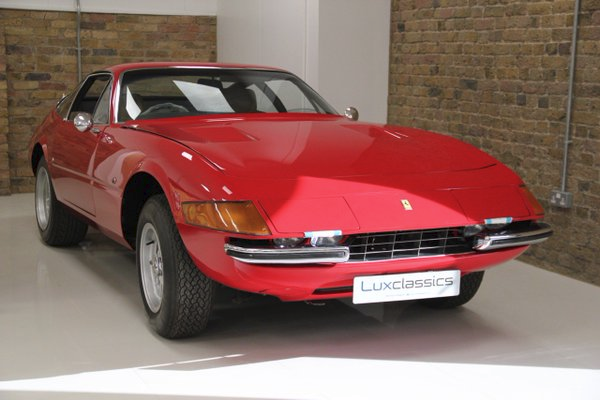 We have been in the restoration business for many years, and have had the pleasure of working with the best Classic Cars in the world for discerning owners to realise their dreams. 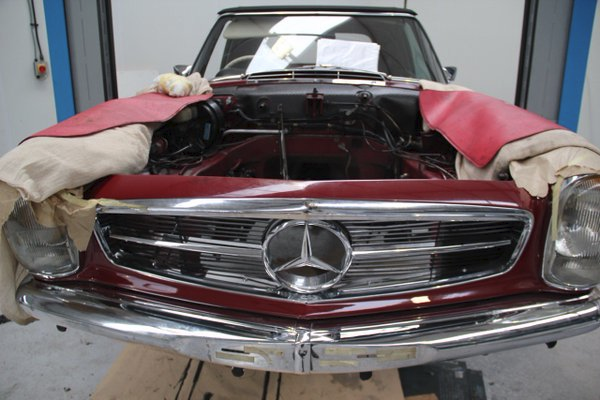 Whether a simple re-paint or a bespoke restoration, experience indicates the best results are always achieved when the owner and restorer work together and achieve a mutual understanding of the project. 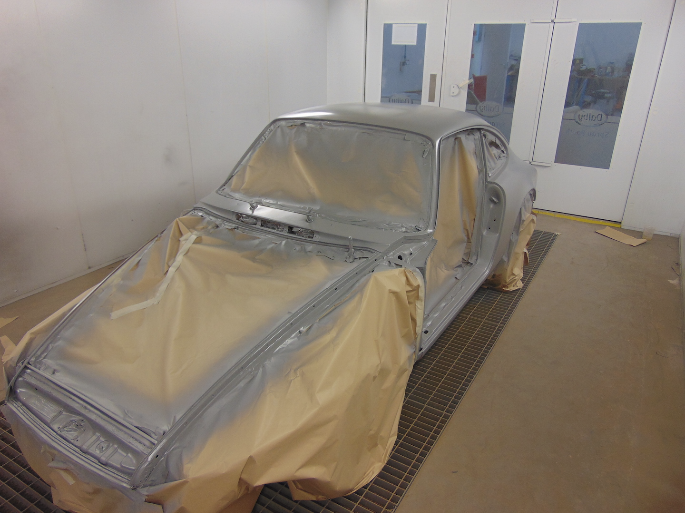 A selection of projects in progress and past completed projects are featured below. 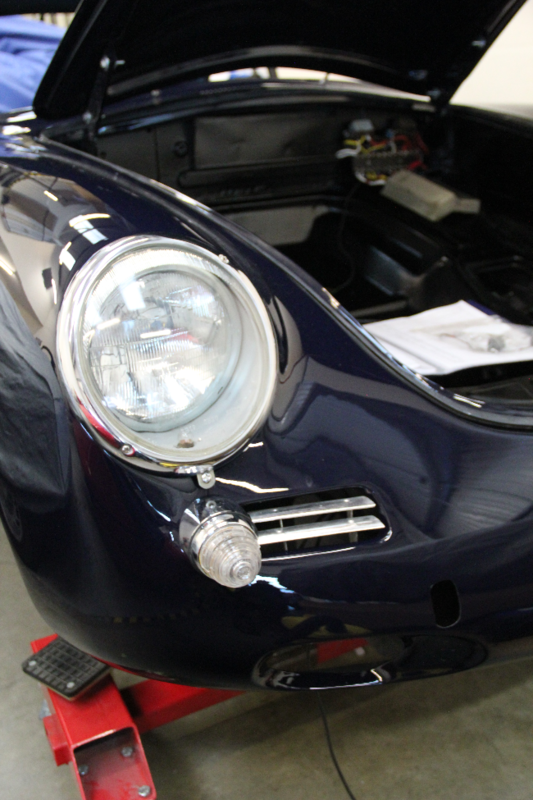 New wiring loom manufactured & fitted with all components working & rear lights modified from USA braking/turn signal to European amber lights. 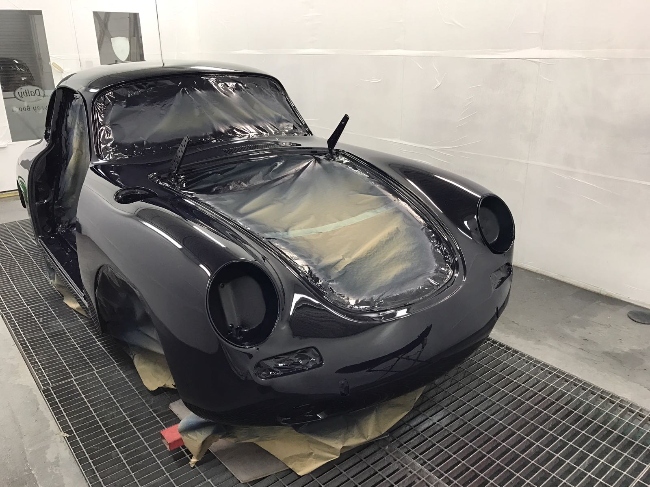 Porsche 356 C painted in final coats of dark blue reminiscent of the Original Period Porsche 356 “Bali Blue” with a personal touch. 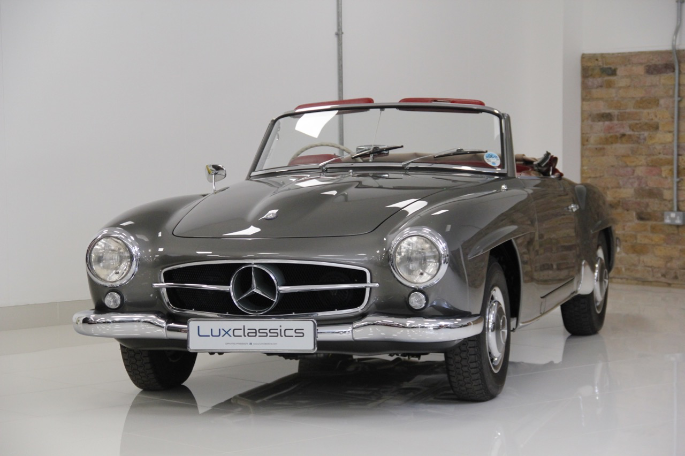 This Mercedes-Benz 190SL was restored on behalf of David Gandy & featured on the Classic Car Show alongside Parry Chana who sourced the vehicle on his behalf & commissioned a full component off restoration to Mr Gandy’s exact specification. 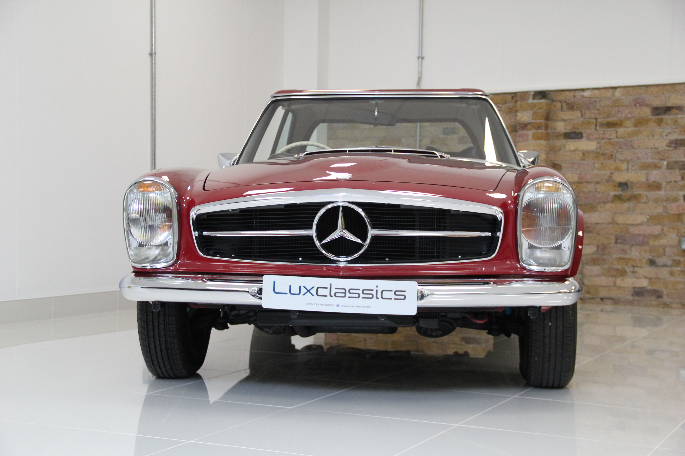 Photos taken in Lux Classics showroom in preparation for display at The Royal Automobile Club Pall Mall in August – September 2016 & The Mercedes-Benz World Brooklands December – May 2017. 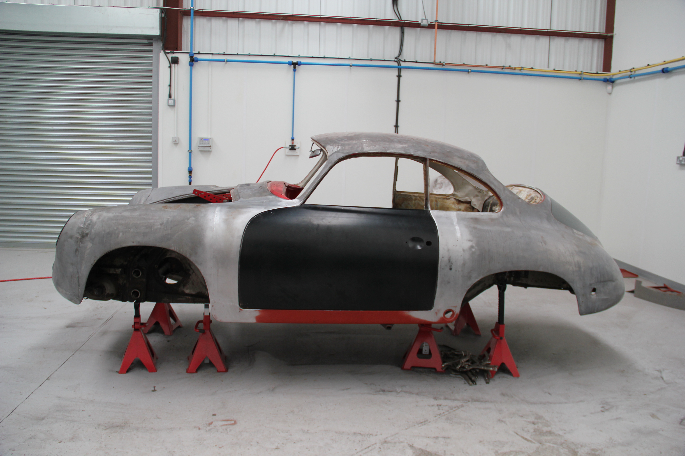 Exterior body shell stripped down to bare metal with new panels & paint in Glasurit period Anthracite Gray Metallic with a high gloss polished finish. 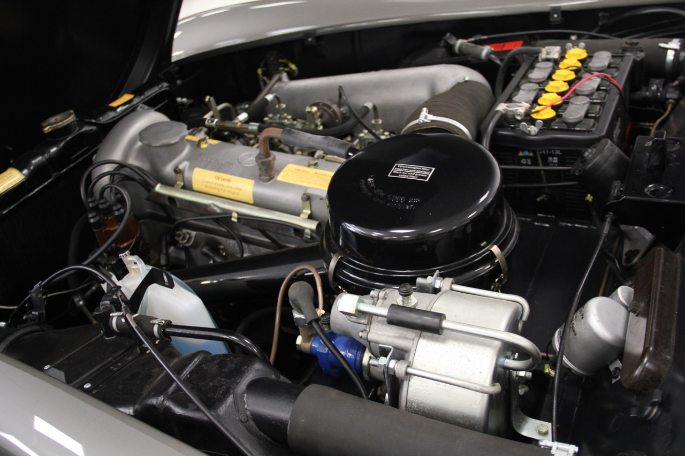 The original ATE T50 brake booster was totally stripped & rebuilt to exacting standard to provide for double the braking efficiency. 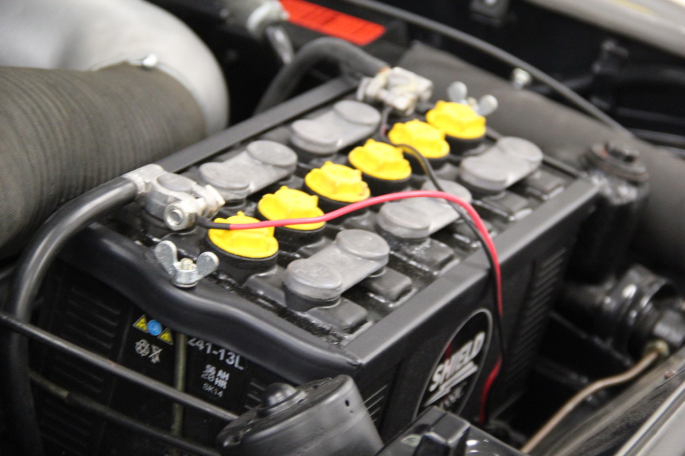 Period tar top battery fitted to enhance the appearance of the engine bay. 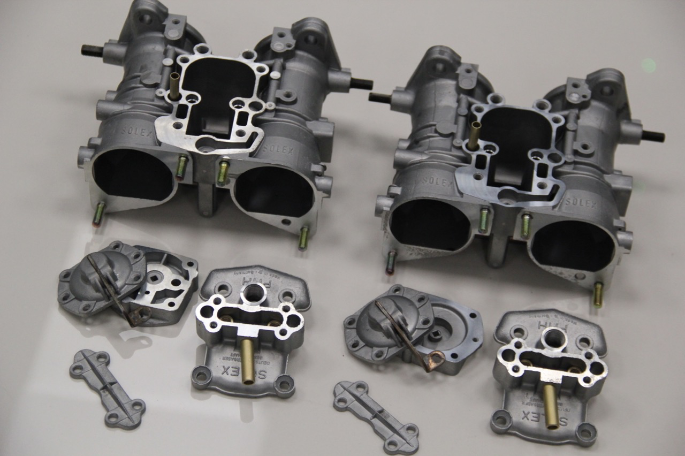 The original Solex PHH44 Carburettors were stripped, mechanically re-engineered & rebuilt to enhance any driving condition & for reliability. 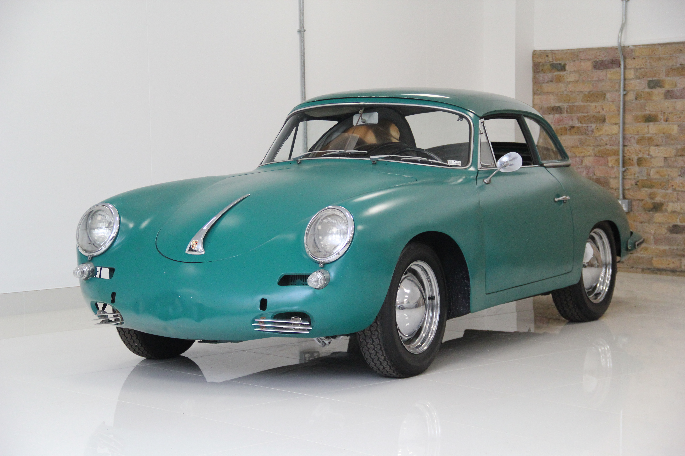 No restoration is complete without reproduction of decals – functional & effective instructions for any owner. 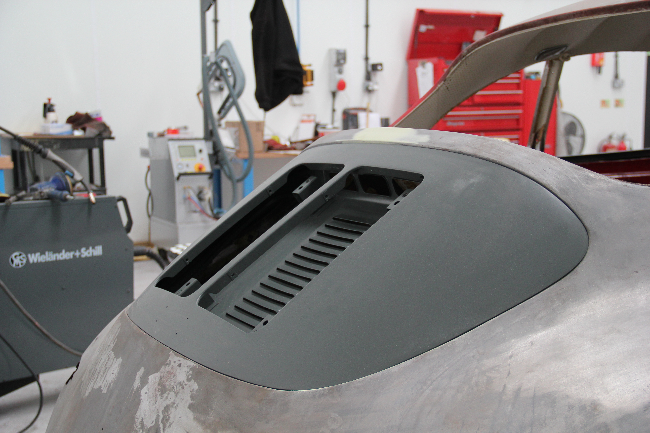 Final pre-fit of bumpers during finalizing metalwork on body shell before first coats of primer. 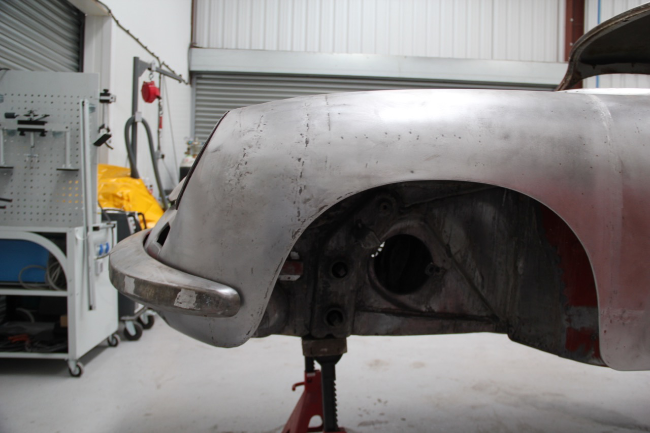 Most visible part head on are the bonnet lines which was bent due to mis-use. 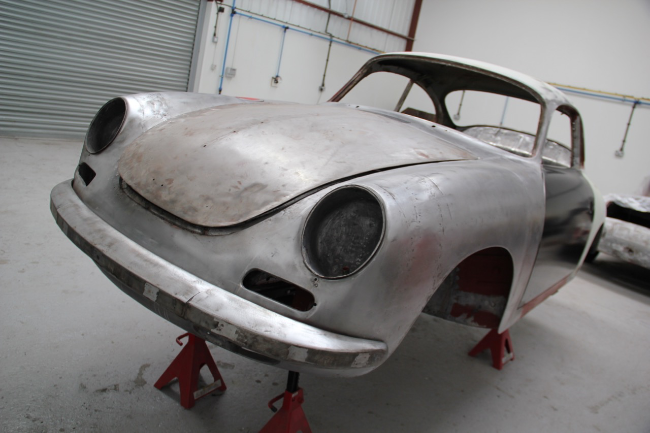 The worn opening & closing mechanism was replaced due to excessive wear & new bonnet fitted with final work around the front end to improve gaps to perfect fit. 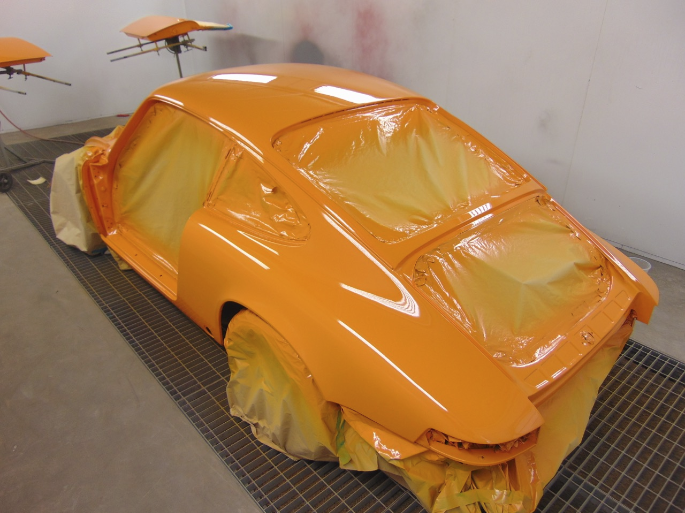 Repaint back to original factory colour specification, Signal Orange. 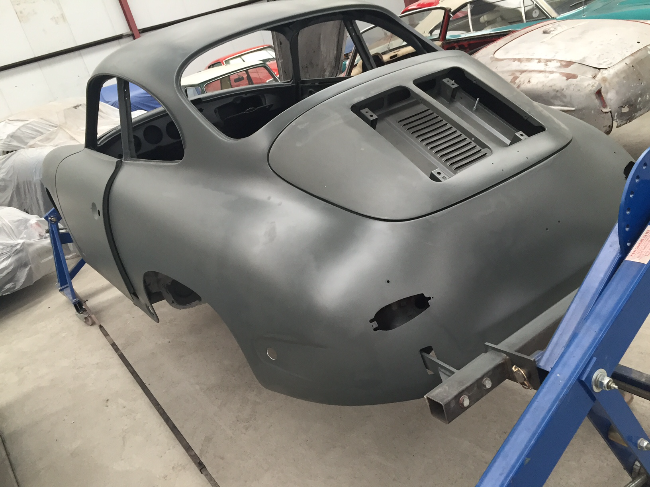 Porsche 356 C with metal fabrication & panel replacement work completed – new door skins, side sills / rocker panels, front & rear wing sections. 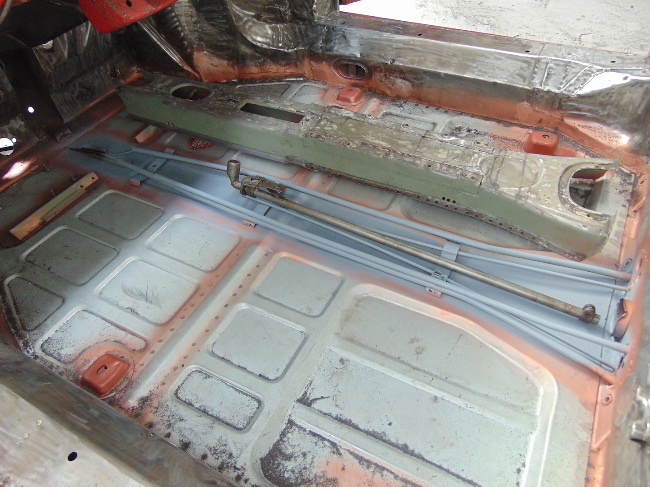 Original floors on this project were acceptable but not great so we decided to replace with new parts. 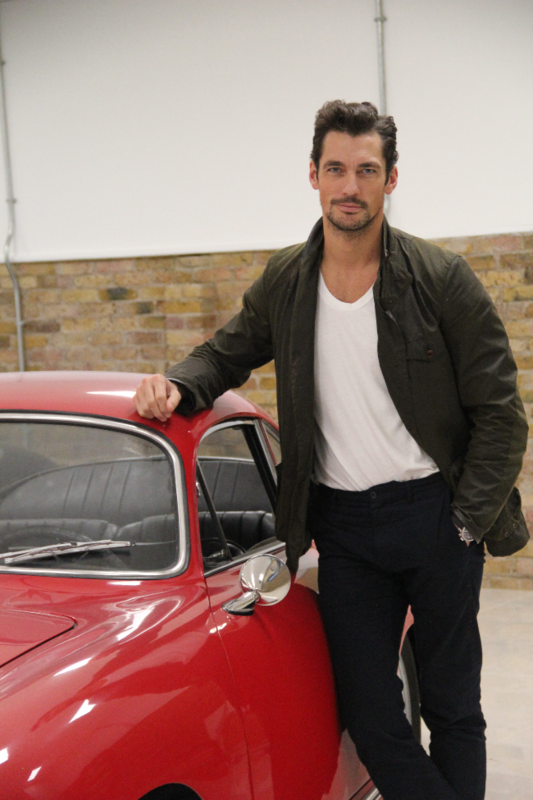 Porsche 356C sourced David Gandy with project brief to produce a nicely restored driving car with that personal touch & subtle upgrades & body modifications.